Sperry Instrument’s new patent pending Dual CheckTM tester received Electrical Construction & Maintenance (EC&M) Magazine’s 2016 Product of the Year Gold Award. This innovative new tool combines the most popular testers in the market, a non-contact voltage tester and GFCI outlet circuit analyzer. The Dual CheckTM Non-Contact feature offers a 360° LED indicator, while the best in class outlet tester incorporates a proprietary design with a clear and easy-to understand one LED readout with no charts to decipher or memorize. 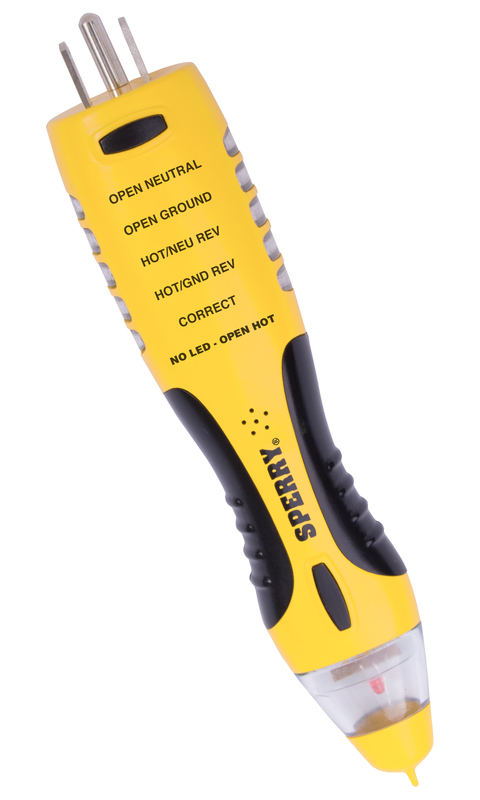 Sperry Instruments, the professional’s choice for electrical testing equipment, creates products with the end user in mind providing a limited lifetime warranty, ten foot drop, and 250 pound crush rating. EC&M’s Product of the Year competition recognizes new item innovation and product excellence for the electrical industry. Their two-fold judging process begins with a handpicked panel of judges to determine 39 category winners. EC&M electrical professional subscribers select the final three winners to receive platinum, gold, and silver awards.